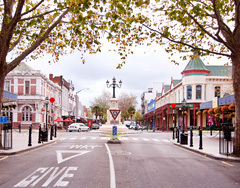 In Wanganui you will find a historic district offering something for everyone with a rich cultural heritage, a vibrant arts scene and excellent sporting and recreation facilities. Surrounded by a natural landscape offering dramatic west coast beaches, unspoilt native bush for tramping and wilderness trips and the longest navigable river in New Zealand. The mighty Whanganui River is a centre point for the city, featuring stunning public art, walkways and cafes. Much of the city is on the river's northwest bank. The river is crossed by four bridges - Cobham Bridge, City Bridge, Dublin Street Bridge and Aramoho Railway Bridge (rail and pedestrians only). Close to the southeast end of the City Bridge is one of Wanganui's more unusual features, an elevator leading to a monument on the top of Durie Hill. Wanganui enjoys a temperate climate, with slightly above the national average sunshine hours. Much of Wanganui's economy relates directly to the fertile and prosperous farming hinterland near the city. Heads Road is Whanganui's main industrial area and is home to a number of manufacturing and engineering operations. 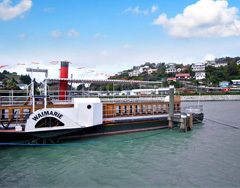 The Wanganui Port, once the centre of industrial transport, still has some traffic but is more noted for the Q-West boat building operation there. Tourism is becoming a major income stream for the district, and the local council has undertaken a number of tourism initiatives. Wanganui is renowned for its sports facilities with many parks, playgrounds and sports fields spread all over Wanganui, the town is incredibly well positioned to provide that outdoor lifestyle, another example of the family friendly culture we offer. Sport plays a big part in the day to day life while our fabulous venues provide the facilities for the regular events we hold. Cooks Gardens is not only famous as the track at which Peter Snell broke the world mile record but also features one of the best Velodromes in the world. Kowhai Park has some of the most imaginative playground equipment. There are several slides, but none of them are conventional, turtles to sit on, toadstool picnic tables, Humpty Dumpty’s wall to fall off, rocket ships, mountains, Miss Muffet and a greebly looking spider, complete with swings for toddlers hanging from its legs, a skating rink, waterplay fountains for hot days, the large pumpkin with 2 BBQ's inside, the fort with flying fox, the mini-train rides, castle, antarctic playground and the massive skate/bike park. The Splash Centre is an all-purpose aquatic centre in the middle of town. A broad and family orientated environment Wanganui offers a range of education options including Wanganui Collegiate, Wanganui Girls’ College, Wanganui High School, Durie Hill School and St Mary’s. 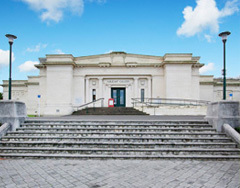 Wanganui UCOL has state of the art facilities and is well known for its development of the arts.